Overwatch is still young as far as sports go, but if you’re a professional player of anything, whether that means basketball or Russian knight fighting, you’re gonna be held to a higher standard than most. Overwatch League’s players are having trouble with that. There’s still about a month left until Blizzard kicks off the first season of Overwatch League, and yet the esports org has already seen four different players get fined or suspended—one of them twice within the span of a month. 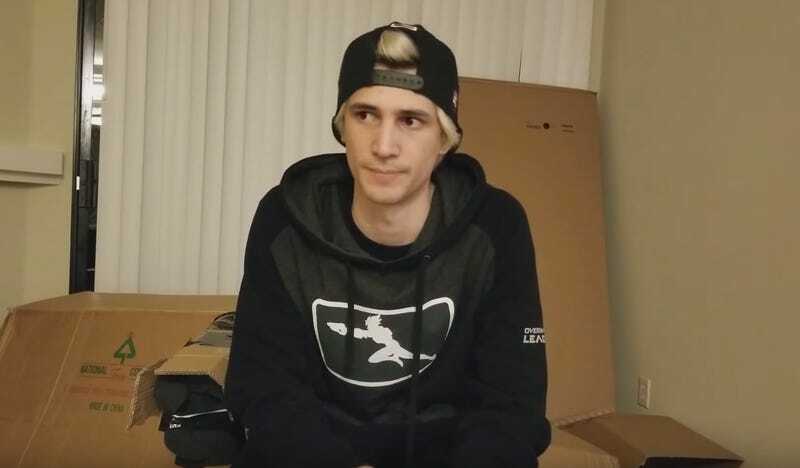 Over the weekend, Dallas Fuel tank player Félix “xQc” Lengyel got slapped with a seven-day in-game suspension after he got so angry that he decided to throw games on stream, something Blizzard deems “inappropriate for Overwatch” according to the suspension email it sent to Lengyel. This comes in the wake of a November incident in which Lengyel received a 72-hour in-game suspension for misuse of the game’s reporting system. Lengyel is not alone amongst his Overwatch League peers. Earlier this month, Philadelphia Fusion player Su-min “Sado” Kim got benched by Blizzard for the first 30 games of the League’s upcoming first season after it came to light that he’d been accepting payments in return for logging in to other players’ accounts and leveling them up, which is against the game’s terms of service. Kim said he did it to scrape together some extra cash for his family after he dropped out of high school, back when he thought his chances of ever going pro were “basically zero.” Viewed in that light, Kim’s actions don’t sound all that unreasonable, but rules are rules, apparently. Last week, two Shanghai Dragons players, Chao “Undead” Fang and Junjie “Xushu” Liu, got fined by their own organization for sharing an account. Apparently, they only did it because their individual account rankings would have prevented them from playing together otherwise, but they were still in violation of Blizzard’s terms of service. “As professional game players, they should have acted as role models and abided by Blizzard’s account use codes and relevant regulations,” Shanghai Dragons wrote in a statement to the Daily Dot. The team fined both Chao and Liu 3,000 RMB, or roughly $450. You’ll note that the punishments players received came from a variety of sources: Overwatch’s in-game systems, teams, and in just one case (so far) Blizzard itself. You’d think that Blizzard, owner and operator of the League, would be more involved in slapping wrists and designating timeout corners, but so far, it’s yet to unveil an official code of conduct for players. The company’s spent months in a mad dash to get OWL up and running, so regular terms of service have had to serve. That’s resulted in a wide variety of punishments, some of which don’t entirely seem to fit the crimes in question. The situation is also unusual in that these players are young, ranging in age from 18 to 22, and new to the bright, artificial lights of a corporately owned and operated competitive scene. Those facts don’t excuse their actions, but they help them make sense. On top of that, Lengyel’s match-throwing, player-insulting outburst is illustrative of the emotional strain many esports players put themselves through: they scrimmage all day, keeping their focus razor-sharp so they can go blow-for-blow with other top players, and then stream for multiple hours to build personal brands and prepare for a life after professional play. As a result, the spotlight’s on when they’re supposedly unwinding, and even when it’s off, communities on sites like Reddit scrutinize streams and clips and videos mercilessly. There’s very little room for players to make dumb mistakes in private, for better or worse. This recent string of incidents seems to suggest that everybody—Overwatch League players, organizations, and Blizzard—have some growing up to do.